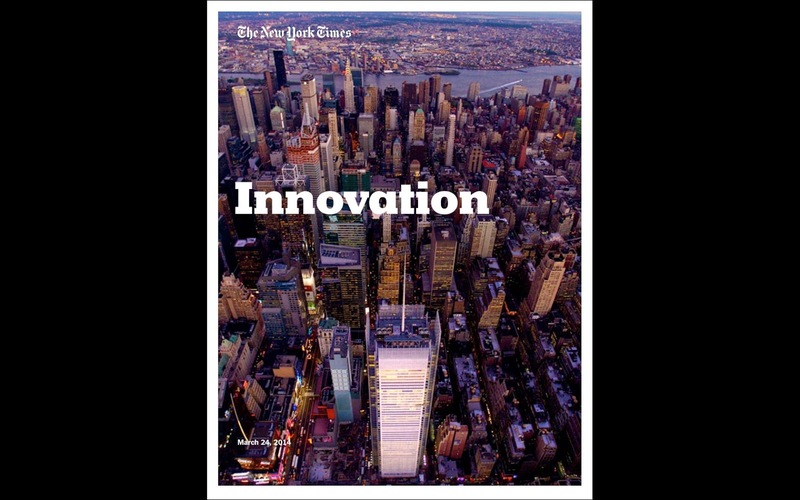 A few days ago, the full NY Times innovation report was leaked to the press. The NY Times did a rigorous self-examination, and came to some incredibly important observations on the why and how of true transformation to the digital era. Reading this document sparked a WOW moment in me. I think it is an absolute must read for anyone dealing with content strategy. Not so much for profound new thoughts, but more for the insight in where NY Times digital performance was good and where it is was poor, affirming that changing a content strategy is hard. The Nieman Journalism Lab wrote an excellent report on it. The newsroom is too focused on the daily task to produce the daily newspaper, which leaves insufficient time and focus to assess and implement strategic changes. I think we all can relate to this problem. It is OK to have a team focused on the daily chores, but somewhere change has to happen. Creating a strategy team is a good idea – as long as it is well-anchored within the standing organisation and has the power to implement change. The NY Times offers content through all the obvious channels. But by better headlines, better search and better social media skills, NY Times was outperformed, even on their own content. Simple changes such as posting at a time your audience is actually reading, repurposing, repeating, repackaging and personalizing. The battle for an audience isn’t fought anymore on selling a paper or a website by its front-page: every article has to fight its own battle on the saturated content market. The report also suggests branching off and seeking audiences in different forms. Hosting events and talking to real customers should be on anybody’s agenda. The report tells a compelling story on why content needs to be enriched through tagging and structured data. This reaffirms the choices we made in Newz project: structuring content by location, time (and events), story type and topics (persons and organisations). The NY Times adds to this: timeliness, story threads, story tone and the use of imagery. I feel that any content-organisation should consider structuring content on some of these base functions. The report points out that changing a newsroom from a century-old habit of paper & front-page to ‘Digital First’ is a huge challenge. The cultural change will take new technology savvy people and new managers encouraging cultural change. 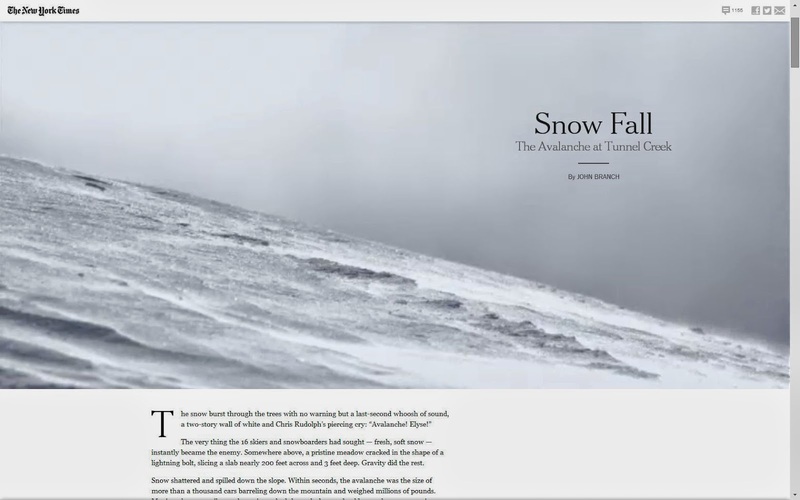 The Times created many beautiful digital showcases like “Snow Fall”. But the NY Times built “Snow Fall” and not a “Snow Fall building tool”. Anyone working difficult markets should be willing to experiment more in presentation formats, accept imperfection, accept failure, measure so you know what succeeds and have the tools ready to expand on success. If you are in any way active in content strategy or news: Please read this report. See that you are not alone in your struggle and gorge on the valuable insights. Thanks to a Dutch analysis from the Bladendokter that pointed me to the report.